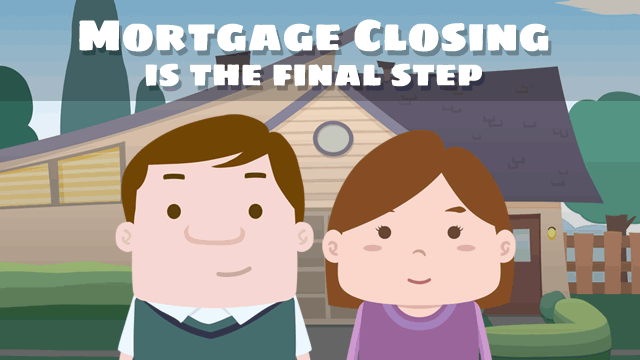 When buying a home, the mortgage closing on a home is the final step in the transaction between you and the seller. This settlement meeting is when property title is handed over to the new homeowner, and funds are transferred to the seller in exchange. When buying a home, the mortgage closing on a home is the final step in the transaction between you and the seller. This settlement meeting is when property title is handed over to the new homeowner, and funds are transferred to the seller in exchange. The closing event is also for borrowers who are refinancing an existing mortgage. The process of closing on a mortgage is an important step, so it’s good to know exactly how it works and what you can expect the day of. There are a few different parties present at the meeting and each play a different role. At most closings, you’ll see a closing agent, an attorney (who may act as the closing agent, or represent you, the lender, or the seller), a representative from the title company, the property seller and their real estate agent, and the lender supplying the loan. You are responsible for a few things at this meeting. Be sure to bring all the paperwork that was supplied during the home-buying process as you may need to reference them during the closing. At the meeting you will be signing a number of legal documents. This includes all agreements between you and the seller regarding transfer of the property, as well as the contracts concerning terms and conditions of the home loan. There are fees associated with closing that need to be paid, known as closing costs.